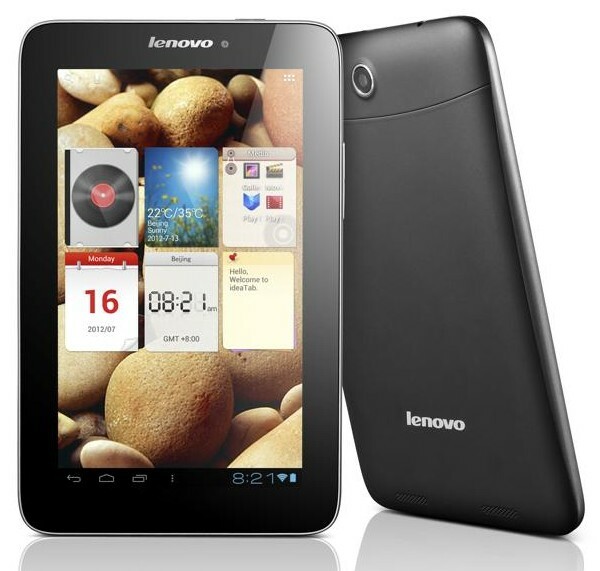 Lenovo has released a new Android tablet with dual SIM-card slots: IdeaPad A2107. If you’re looking for budget friendly fully featured tablet for entertaining and gaming, the following one may be able to meet your requirements.Lenovo IdeaPad A2107 is a 7-inch Android tablet that measures 192 x 122 x 11.5mm and weights 0.4 kg. The Android table runs on Google Android 4.0 Ice Cream Sandwich mobile operating system, and features a MTK 6575 1.0GHz Cortex A9 processor, 1GB LPDDR2 RAM, 16GB internal storage, a 7-inch 4-point capacitive touchscreen HD display with 1024 x 600 pixels resolution, a 0.3-megapixel front facing webcam and a 2-megapixel rear camera. Moreover, other specs also include dual SIM-card slots for 2G and 3G, WiFi, Bluetooth, built-in FM radio, dual stereo speakers, built-in AGPS, micro USB port, microSD card slot, and the integrated rechargeable battery offers you up to 8 hours battery life with 3G connected.Lenovo IdeaPad A2107 Android tablet is priced at $149.99 USD. If you’re interested, jump to Lenovo official site or B & H online store for more details.